Dallas Cowboys fans almost had one more reason to hate the Philadelphia Eagles, beyond being a despised division rival. 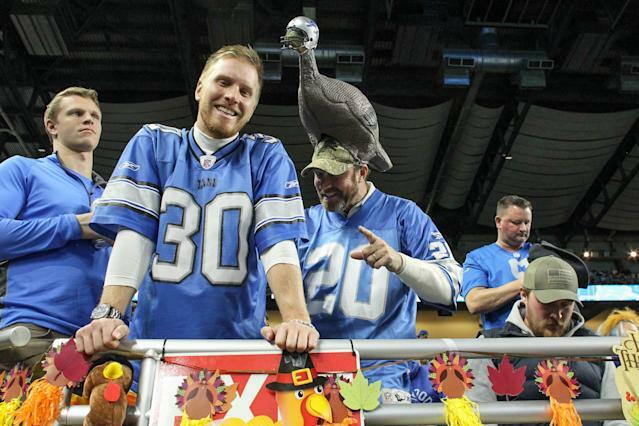 Since 1978, the Lions and Cowboys have each hosted a Thanksgiving game at their respective home stadiums. The Eagles didn’t want to change the teams involved, just the venues. Instead of the Lions and Cowboys playing at their home stadiums, every other year they would play at their opponent’s stadium. That way, fans of teams beyond the Lions and Cowboys would have a chance to see their team play at home on Thanksgiving. Of all the changes you could propose for the NFL’s Thanksgiving schedule, the Eagles’ plan probably makes the most sense. Why not spread the love around? But the team withdrew it. According to ProFootballTalk, the team knew that the proposal would fail to pass, as many other Thanksgiving proposals have in the past. Sorry, football fans. If your favorite team is playing the Cowboys or Lions on Thanksgiving Day, you’ll still have to travel to Dallas or Detroit to see them in person. For some, that might make staying home and cramming your face with turkey and stuffing seem even more attractive.